The city of St. Helens approved a $17,688 contract with Kittelson & Associates on Wednesday, Dec. 5, to complete a study to improve the intersection of St. Helens and 1st streets. 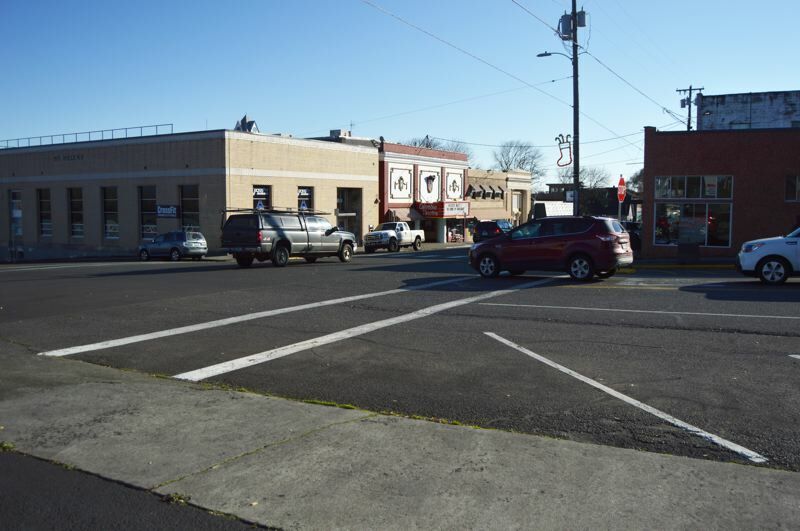 The City Council voted unanimously Wednesday to approve the contract, which will allow the Portland-based transportation consulting firm to determine the impact that different traffic control options would have on the intersection. The intersection is currently controlled by two stop signs on St. Helens Street, while traffic traveling on 1st Street does not stop. In recent months, City Councilor Keith Locke has mentioned the intersection and cited ongoing concerns about it and his desire to see something like a like a four-way stop installed. In November, Locke requested exactly that, in addition to a four-way stop at Cowlitz and 1st streets. The council made a motion at the Nov. 7 meeting to install a four-way stop at the intersection, before council member Doug Morten stepped in to ask city engineering director Sue Nelson why a four-way stop had not been put in before now. "It does not comply with the MUTCD, which is the adopted Manual on Uniform Traffic Control Devices," Nelson stated at the November meeting. "It doesn't even come close to meeting the standards for that type of control." Locke said that he had asked the city to change the controls at the crossroads at other times during his tenure on the council, but nothing was ever done and he was getting "fed up." At the time, Nelson also noted that professional studies and designs should be conducted prior to any changes to the intersection. Councilors Susan Conn and Ginny Carlson noted that safety improvements are important and shared similar sentiments as Locke, while Morten said professionally designed studies would be a better way to approach the issue. The council then directed staff to bring back a professional design proposal. Wednesday's approval of the contract with Kittelson & Associates allows city staff to continue working with the firm on the study to return designs and detailed information about the intersection. The crossroad of St. Helens Street and 1st Street has been identified in various city development plans, including the Street Corridor Master Plan. The 2015 plan identifies the intersection and provides an illustration of potential improvements and suggestions for what could be installed there. Nelson said the background knowledge that consultants at Kittelson & Associates have with the city and its transportation plans was a major factor in bringing the cost of the overall study down, as well as shortening the timeline for the evaluation to be completed. "This is us looking at implementing a portion of one of our adopted traffic plans," Nelson said Wednesday. as early as March, Nelson noted.